Wood Brothers Racing was formedin 1950 in Stuart, Va., by Hall of Famer Glen Wood. Wood Brothers Racing is the oldest active team and one of the winningest teams in NASCAR history. Since its founding, the team won 99 races (including at least one race in every decade for the last seven decades) and 120 poles in NASCAR’s top-tier series. 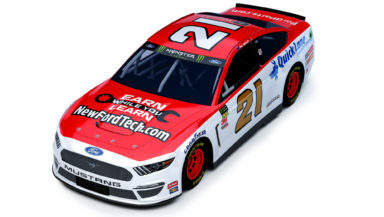 Fielding only Ford products for its entire history, the Wood Brothers own the longest association of any motorsports team with a single manufacturer. Glen’s brother, Leonard, is known for inventing the modern pit stop. The team currently runs the Ford Mustang driven by Paul Menard in the famous No. 21 racer.